I finally had the chance to check out Fujin Ramen in West Covina with my friend, Angie. I had heard about it a few months ago and was stoked to find another place that’s fairly close by. Yelp seemed to have good reviews about it so I was excited to try it out! 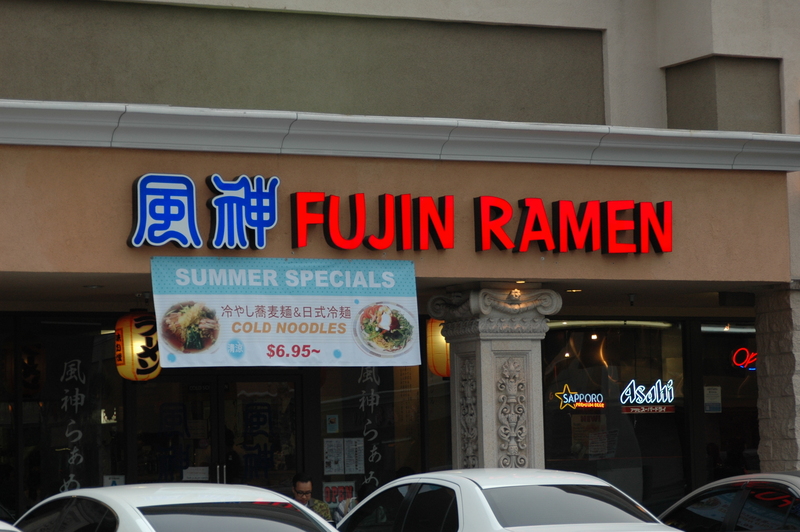 Fujin Ramen is located in the Hong Kong plaza off of Vincent/Glendora Ave, south of the 10 Freeway. Parking was plentiful, but with very narrow parking stalls. There was no line, which was great because we were starving! But we noticed a sign that said we needed to spend a minimum of $25 in order to use debit/credit cards. Keep that in mind! There’s a grocery store nearby with an ATM, but we opted to just drive to our bank just a few blocks away to avoid stupid fees. The restaurant seats a good amount of people, about 30 or so. 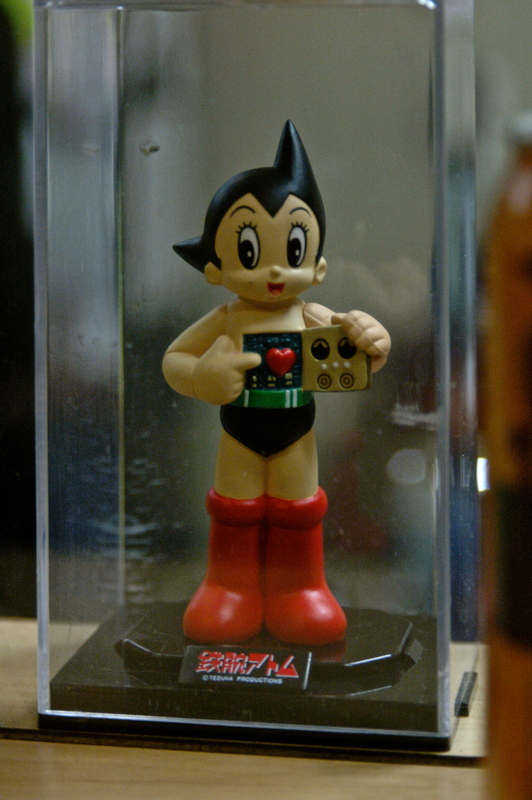 We sat at the bar that had fun little action figures and other random things. Bar seating, although the kitchen was not behind it. Overall, I thought the ramen was satisfactory. The broth was on the heavier side and flavor was descent. The noodles were cooked just right and the chashu pieces were very good. They were very tender and flavorful. I wasn’t too crazy about the chopped onions. I’ve never had them in ramen before and the texture of crunchy onions with the noodles were a little strange for me. Their ajitama was great though, it was cooked perfectly with enough goo in the middle! Angie liked the ramen but felt the same way that I did. The service was pretty descent, the servers paid enough attention if we needed anything. 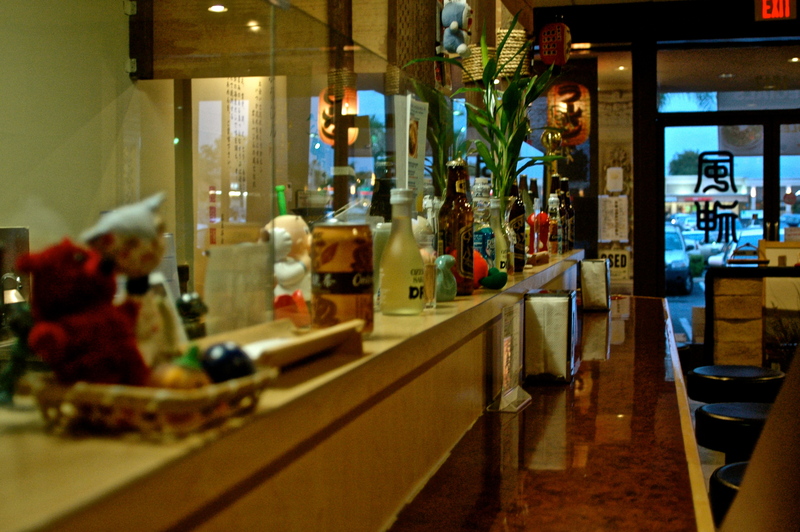 Not bad for a Japanese place in a Hong Kong plaza. I think Fujin Ramen is a place I would go to again just to give it another chance. 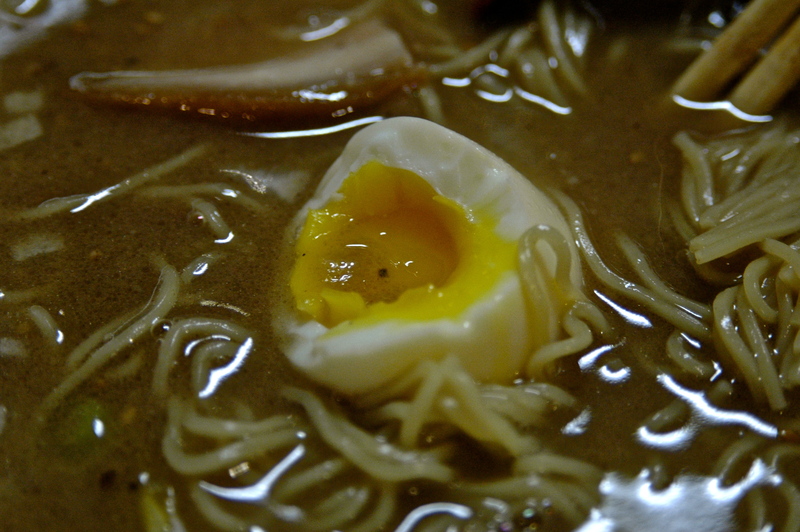 The ramen didn’t exactly inspire me to come up with a creative blog post title. 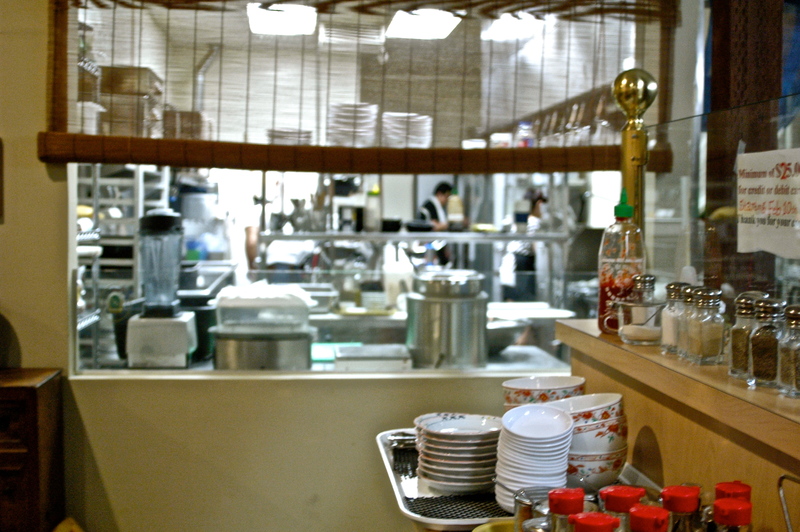 Rowland/Hacienda Heights is not much further away and there are more choices of ramen there. 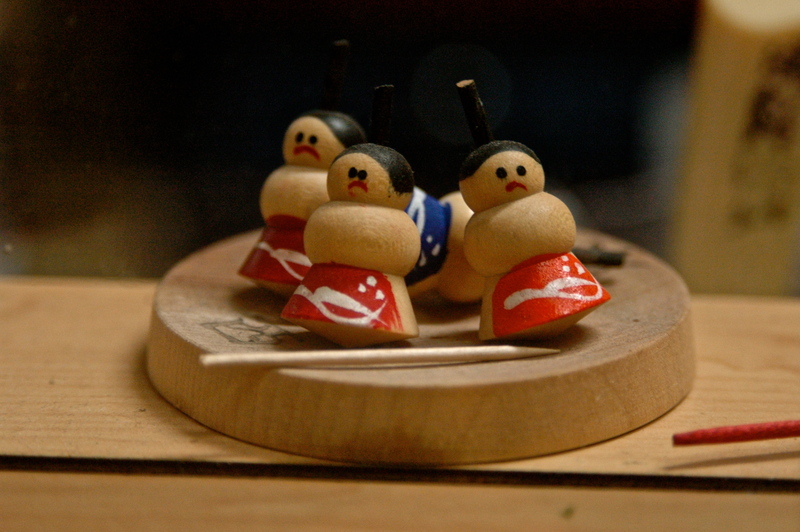 But if you’re in the area, Fujin would be worth checking out! 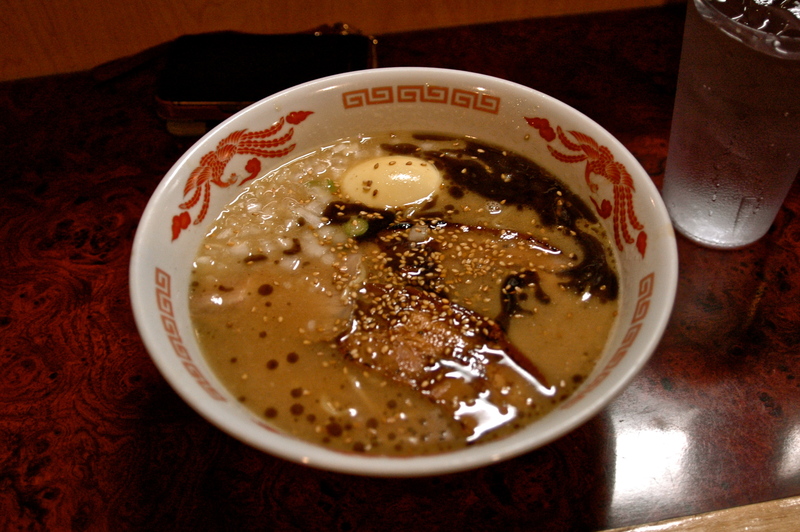 This entry was posted in Food, Ramen, Ramen Run, Restaurant Review and tagged West Covina. Bookmark the permalink.